Last Saturday was quite a busy day in terms of getting outside and surrounded by nature. 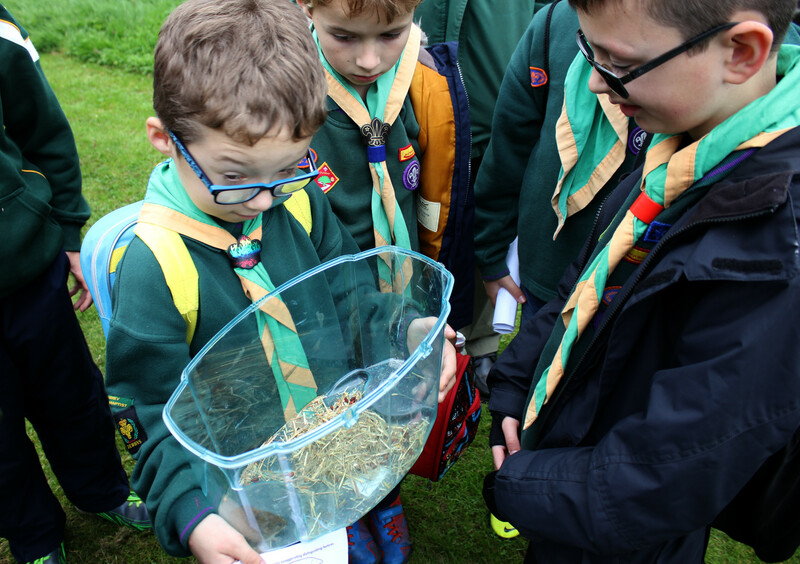 As you’ll see from my latest post, I was on a fungi foray in the morning with my local wildlife group then in the afternoon I was at the National Memorial Arboretum with their Wildlife Watch group, which I’m one of the leaders of. 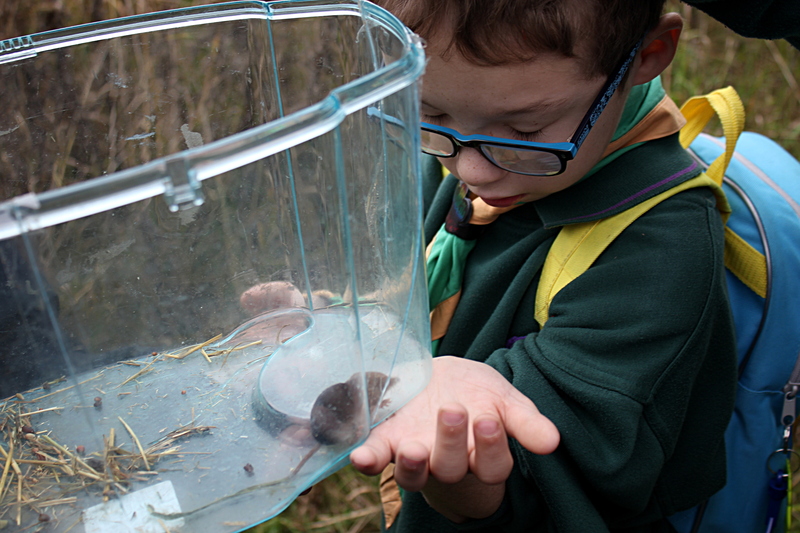 The Wildlife Watch group here have monthly sessions and at each one they do a different activity. On Saturday Derek Crawley from the Mammal Society came along. 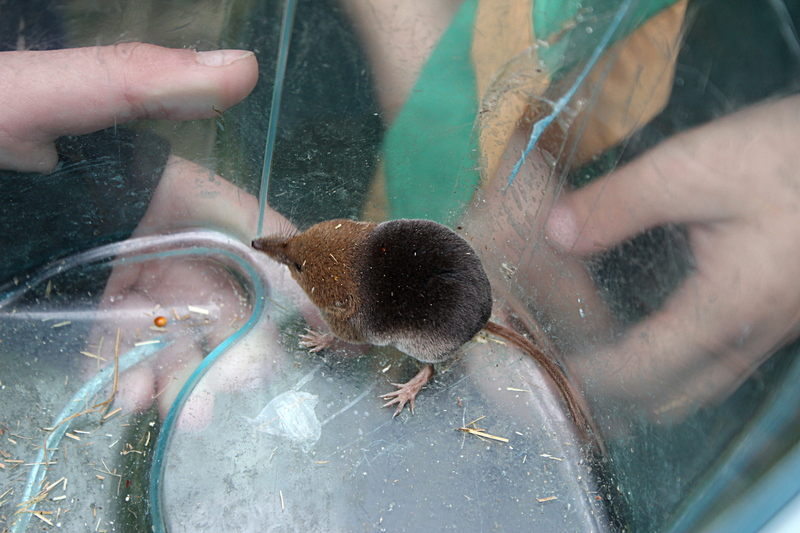 He was a real star guest and introduced the group to the world of small mammals and trapping them for conservation purposes (to record and let free again). 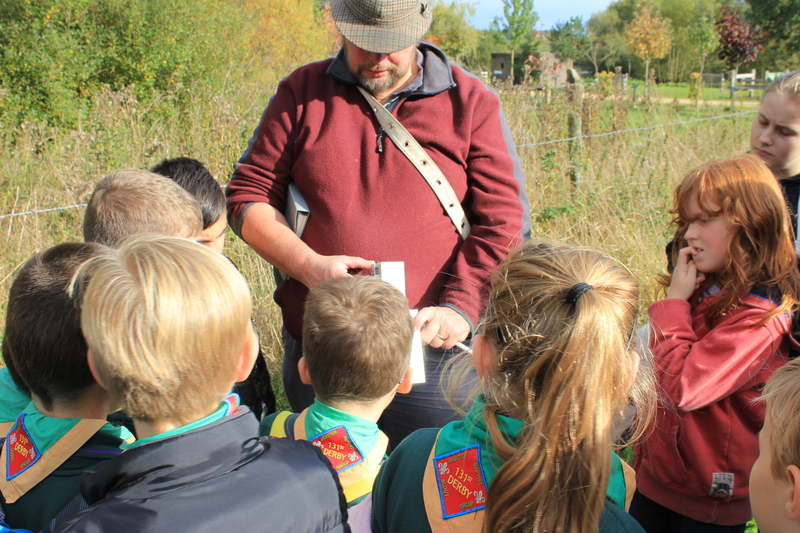 On Saturday we had the regular attendees of the group along with the local cubs so there was quite a lot of us but it all ran smoothly and everyone was learning something new along with having a great time! 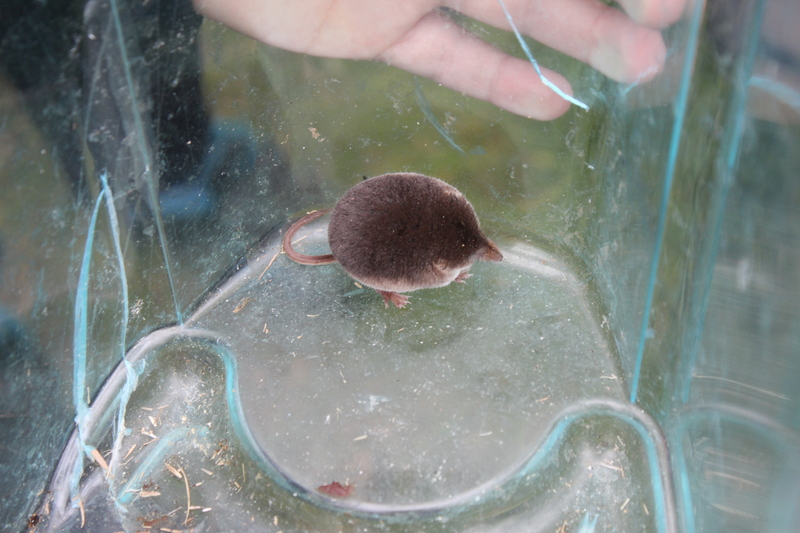 Around 40 traps were set up the night before in the intention of trapping small mammals such as voles, mice and shrews, and so we did! 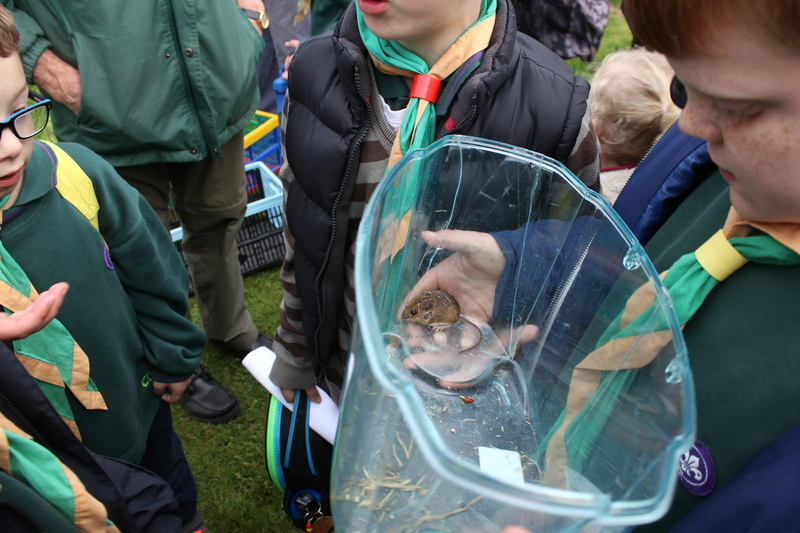 After we emptied the trap the children were able to have a look at what had been caught before it was released. Data of what was caught was also added to the records for this site. 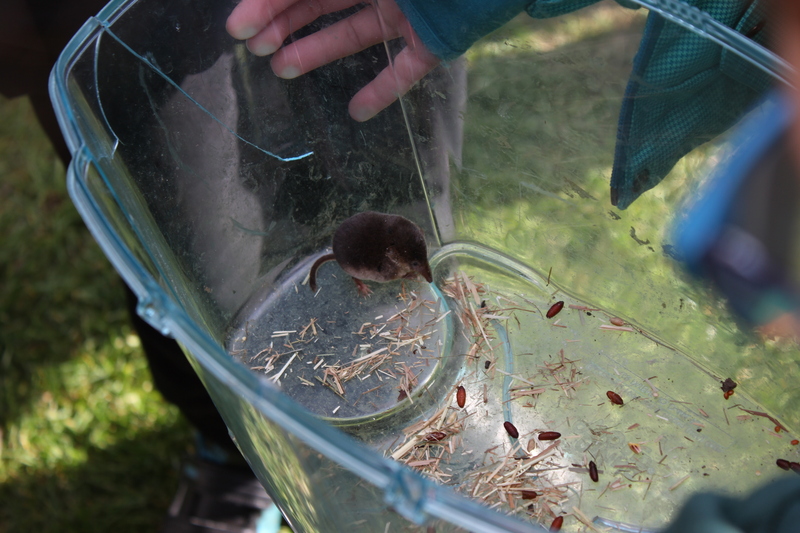 How wonderful for these lads to see a peedie shrew up close and alive. I see them now and then expired on the footpath, but a treat to meet one still shrewing.